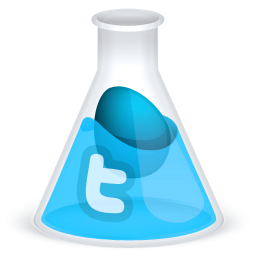 Magic milk is one of our favorite science activities because of the endless possibilities for creation. 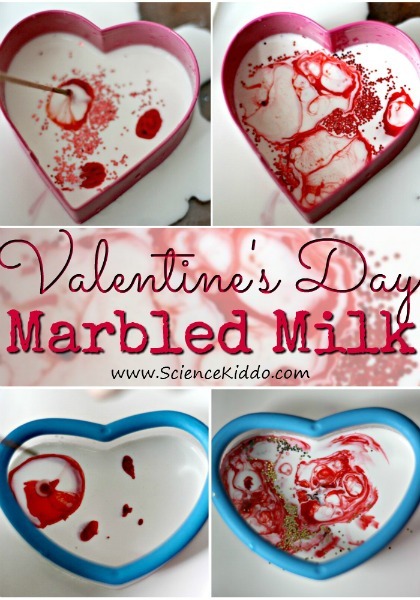 Magic milk hearts is a Valentine’s Day science activity that is irresistible! The kids love watching the colors erupt, scatter, and mix. It is sometimes unpredictable, which makes it exciting and new each time. 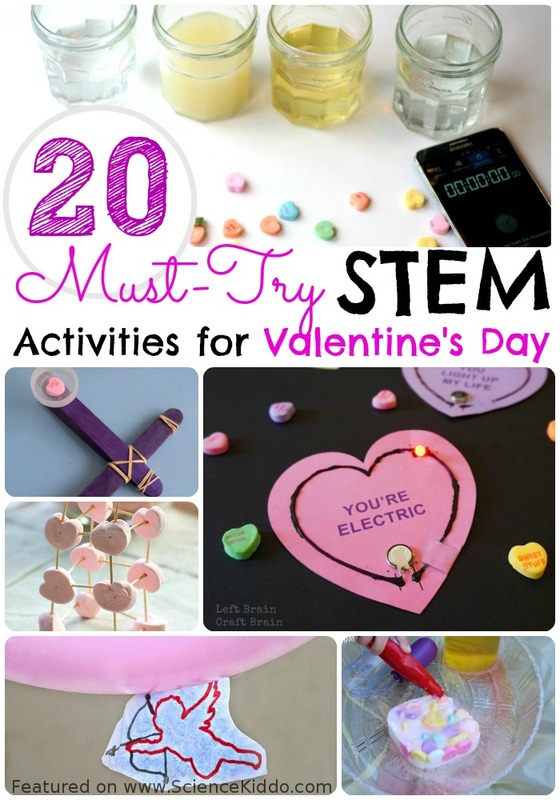 Check out our collection of over 20 Valentine’s Day STEM activities for kids for even more ideas! 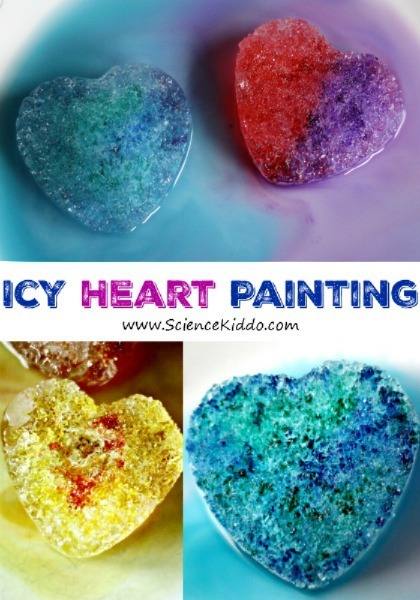 If you are planning a Valentine’s Day party or a special heart-themed week, you will want more Valentine’s Day science! 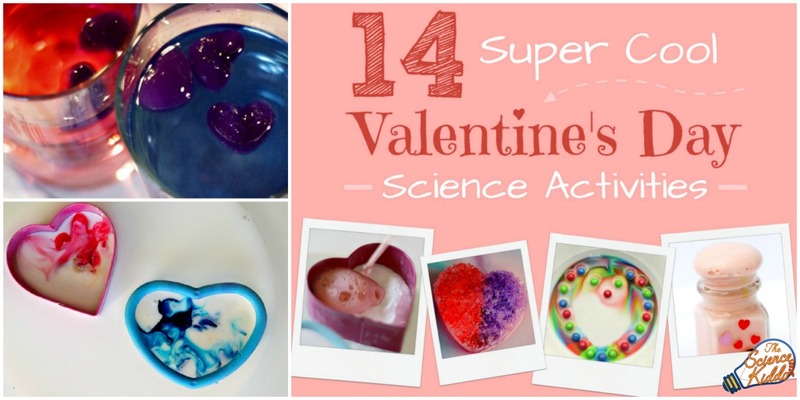 Our new ebook, 14 SUPER COOL VALENTINE’S DAY SCIENCE ACTIVITIES, contains 14 heart-themed bubbly, hands-on, colorful projects that kids ages 3-10 will love. 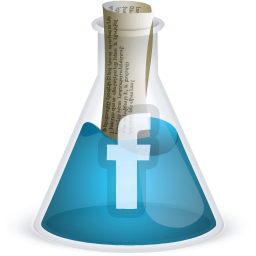 Click on the picture below for more details. 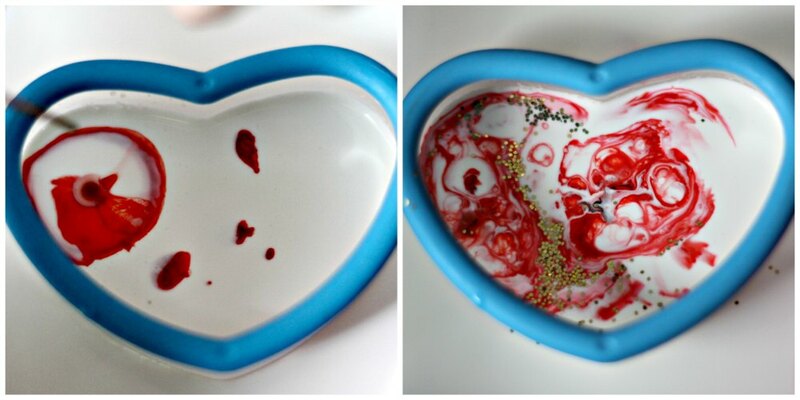 Heart cookie cutters – Use these to make Valentine’s Day window gel clings when you are done with magic milk! 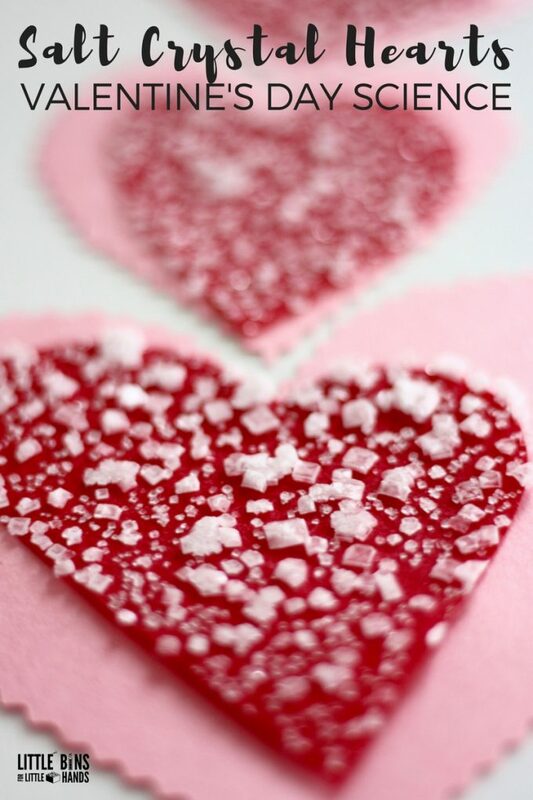 Place a heart cookie cutter in a dish or baking sheet. Pour milk into the cookie cutter. It will leak out into the dish, and that is fine. You don’t want or need much, just a thin film that covers the bottom. Dip the end of the toothpick into the dish soap and then into the center of one drop of colored milk. Don’t stir it! Watch the color erupt and swirl inside the heart. 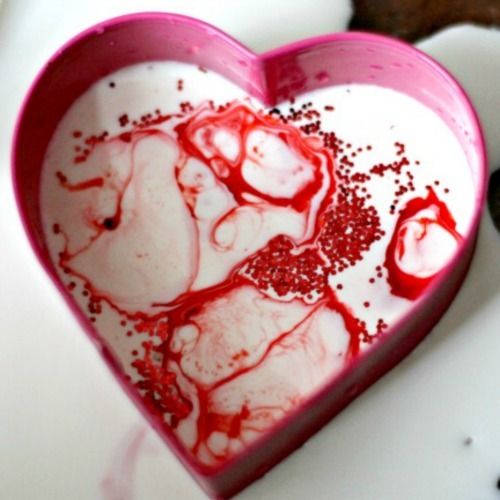 We posted a video of Valentine’s Day Magic Milk on Instagram. 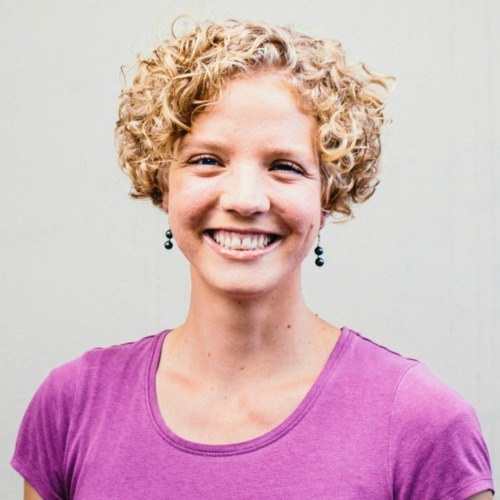 Hop on over to see this amazing project in action! Why do the colors explode when you add dish soap to the milk? Put simply, the dish soap disrupts the molecules at the surface of the milk, making them spread out. This makes the colors spread out, leaving a beautiful marbled pattern behind. 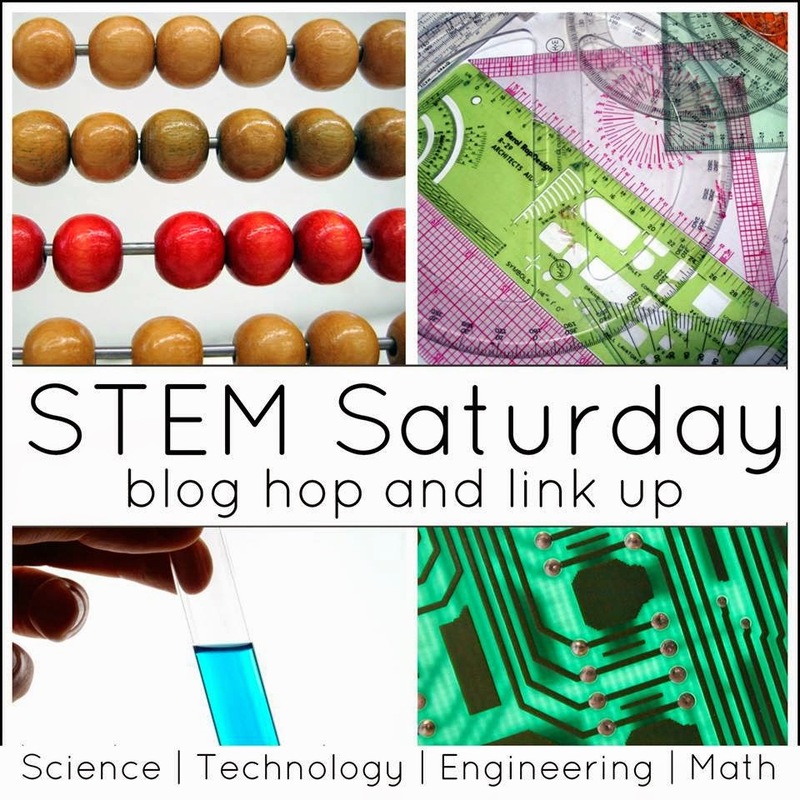 When soap is added to milk, one end of a soap molecule grabs onto a fat molecule in the milk. 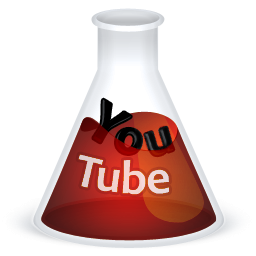 With millions of molecules finding a partner all at once, the mixture gets all stirred up! It looks like the milk is erupting for a minute or more after dish soap is added. It truly is magic milk! What a fun and festive activity! 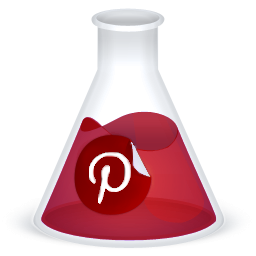 What a brilliant Valentine experiment and a great explanation too.